Home / Soccer / How will Liverpool line up in 2018/19? 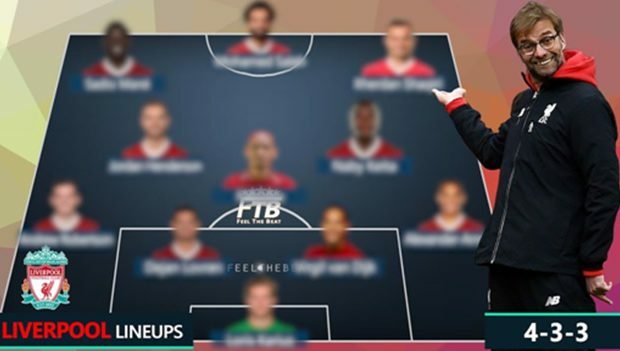 How will Liverpool line up in 2018/19? 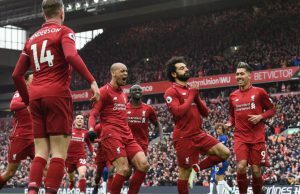 Back in the limelight after an intense season 2017/18, marked by a Champions League final lost against Real Madrid, Liverpool intends to do as well. 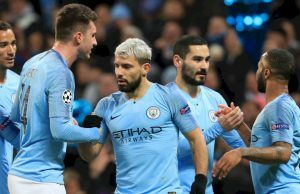 For this, the Premier League club has spent 182.2 million euros this summer for four players who should be of great service to Jurgen Klopp, at the head of an attractive squad. In goal, the Reds fans already discover Alisson Becker. Recruited for 73 million euros, bonus included, the Brazilian has become the second most expensive goalkeeper in history, ahead of Kepa Arrizabalaga, arrived for 80 million euros from Chelsea. To overtake, no Loris Karius, loaned to Besiktas, but still Simon Mignolet, who will be content with crumbs for the current exercise. In central defense, we take the same and we start again. Difference in size, Virgil van Dijk, arrived last winter, has finally made a complete summer preparation and has ample means to prove he is one of the best players in the world at his post. At his side, the finalist of the World Cup, Dejan Lovren, who will however be wary of the promising Joe Gomez, past Joel Matip in the power structure. In the back line, it’s also very clear. On the right, the revelation Alexander Trent-Arnold will have to confirm his good performances of last season, because Nathaniel Clyne remains on the lookout. Left side, it is Andrew Robertson who will hold since the Scot has far enough behind Alberto Moreno, whose benefits have hardly convinced the German coach. In the middle, Klopp is spoiled for choice. If Liverpool captain Jordan Henderson and Georginio Wijnaldum are favored by former Borussia Dortmund technician, Naby Keita, debauched for 60 million euros, quickly made his mark. But that’s not all. Fabinho, enlisted for 50 million euros, bonus included, will also have a say. If he still has not played a single minute in official match, the former Monegasque has the means to go up the slope. Klopp can also count on James Milner, able to occupy all positions in the middle and even the left side, while Alexander Oxlade-Chamberlain will have to whip on his return from injury. Finally, in attack, it’s clear as water of rock. 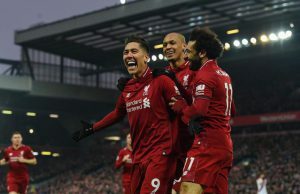 Sadio Mane, Mohamed Salah and Roberto Firmino, who scored 91 of Liverpool’s 135 goals in last season, hope to do just as well in the coming months. Xherdan Shaqiri, recruited for 15.5 million euros, or Divock Origi, the time may seem long.